Sindri Por Stefansson was recently sentenced to 4 1/2 years in prison in Iceland for masterminding the theft of $2M worth of Bitcoin mining machines. This is another one of those stories that only happens in the Bitcoin world. 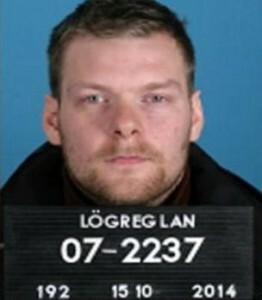 Mr. Stefansson was arrested in February 2018 in Iceland with several others, and ordered held in connection with computer theft, for over $2M worth of mining equipment. He was held in a low-security prison, named Sogn Open Prison. The prison was so low-security that it has windows that open wide and the windows do not have prison bars. The Sogn Open Prison was, it seems, very open where security is not a thing. One day, Mr. Stefansson went online at the prison, and booked a flight to Stockholm. He then opened the window of the open prison, climbed through and walked away. No one stopped him; in fact, no one noticed at first. He made it to the Keflavik International Airport, 100 km away, managed to acquire a passport and boarded his flight to Sweden. No one noticed; no one stopped him. Chilling on the plane with him to Sweden, was Iceland’s Prime Minister. Security of the Prime Minister seems not to be a thing either. Long after the flight had left Iceland airspace, the prison guards noticed he was missing. No one thought to notify officials in Sweden to arrest him when the plane landed and so, Mr. Stefansson got off the plane in Stockholm with Iceland’s Prime Minister. He traveled to Germany then to Amsterdam, where he was arrested, and returned to Iceland. He is now back at the prison, serving his 4 1/2 year term. The police have not recovered the stolen mining equipment yet, after a year.